Middle East Perspectives by Rick Francona: After the recapture of Mosul, what's next? The Iraqi government's hard-fought battle for the recapture of the city of Mosul is nearing its end. Forces of the so-called Islamic State (formerly the Islamic State in Iraq and Syria, ISIS) who had occupied the city for almost three years are now surrounded in a small section of the old city. The estimated 300 remaining ISIS fighters, who have decided to fight to the death and make the Iraqi victory as expensive as possible, are slowly being eliminated. After the old city is cleared, there remains only the Yarmuk neighborhood in ISIS control. The Iraqi government, in its desire for a catchy political slogan, declared the "end of the caliphate" on June 29, exactly three years to the day when ISIS leader Abu Bakr al-Baghdadi made his only pubic appearance - that was on June 29, 2014 in the Great Mosque of al-Nuri, famous for its iconic leaning minaret nicknamed al-hadba' (the hunchback). ISIS destroyed the beloved minaret, and the fighting still rages on. The Iraqis, who routinely underestimate the amount of time required to secure military objectives, claim they need another 48 hours. 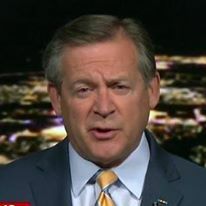 I said in a CNN International interview on June 28 that I thought it would take Iraqi forces at least another week to clear the old city, and then turn its attention to the Yarmuk neighborhood. That said, Iraqi forces - the Army, Counterterrorism Force, Federal Police, and the Iranian-backed Shi'a militias known as Popular Mobilization Units - will clear the entire city of Mosul in short order. There will be, and should be, a great celebration. However, the recapture of Mosul is not the end of the fight to expel ISIS from Iraq or eradicate it altogether. 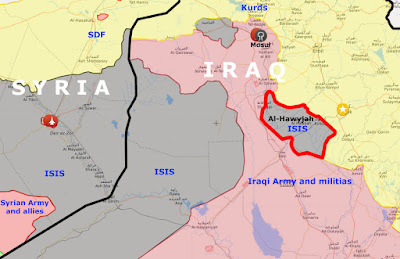 There are still sizable areas of the country which remain firmly under ISIS control (see map). 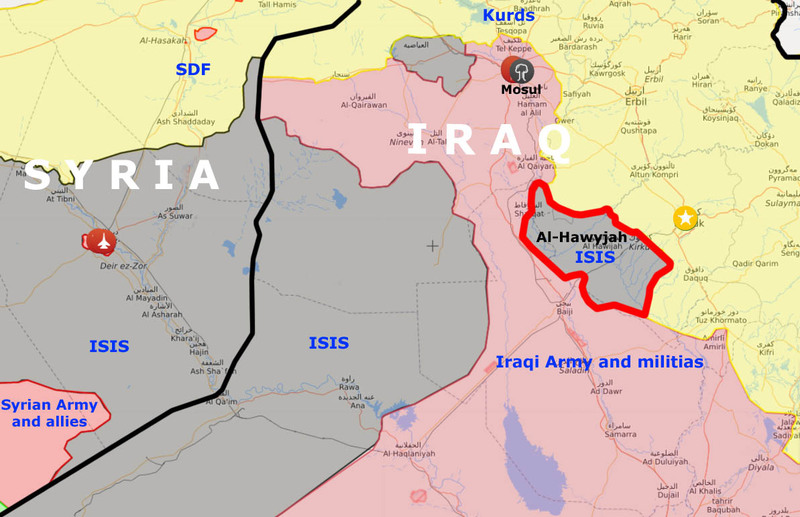 The three main areas fully under ISIS control are around the city of al-Hawayjah (called the al-Huwayjah Pocket), a large expanse of desert in al-Anbar province from just west of the al-Hadithah dam on the Euphrates River to the Syrian border (ISIS control extends far into Syria), and an area west of Mosul near Tal'afar. Military operations in the Tal'Afar area have been assigned to the Shi'a militias. Given the location of the al-Hawayjah Pocket, it will almost certainly be the next focus for Iraqi forces. The area is close to the major north-south highway that serves as the main line of communications for not only Iraqi forces, but the entire country. Over the last few months, the pocket has been the subject of a high level of aerial reconnaissance activity, while the other areas have been largely ignored. The pocket is already surrounded - the Iraqis will not have to encircle it first as they did in the fight for Mosul. The Iraqis will have to fight for the territory, but they will likely not face the level of resistance they did in Mosul. Mosul is a large city, while the al-Hawayjah is less congested and crowded. We should remember, though, that ISIS has had years to establish their defenses. It will not be the proverbial "cake walk," but it will not be the intense street-by-street, house-by-house urban combat Iraqi forces faced in the confines of the old city section of Mosul. Then, if I were advising the Iraqis, I would recommend they focus their efforts on clearing the Euphrates Valley. As long as they control sections of one of the region's most vital waterways, they pose a threat. As the Iraqis push northwest up the river valley, it is likely that the bulk of the ISIS fighters will simply withdraw to the relative safely, at least for now, of Syria. That raises a host of questions, much of which we do not yet know the answers. If ISIS withdraws to Syria, to the Dayr al-Zawr area that they have renamed wilayat al-furat (Euphrates state), will the Iraqis pursue them across the border? Or, will they consider territorial ISIS to be now a Syrian or a U.S.-led coalition problem? Will the Iraqis and Syrian form an alliance and continue the pursuit of ISIS? What will be the role of the Kurds on both sides of the border in the final dismemberment of the Islamic State? In Syria, the U.S.-backed Syrian Democratic Forces (SDF) - made up mostly of Kurdish fighters - are currently mounting an attack on the city of al-Raqqah, the main ISIS stronghold in Syria, yet have no formal alliance with the Syrian government of President Bashar al-Asad. This is different than the situation on the Iraqi side of the border, where the Kurdish peshmerga are a recognized force by Baghdad (as are the Shi'a militias). If there is an agreement between Damascus and Baghdad on coordinated military operations against ISIS on either side of the border, what will be the status of the Americans? On the Iraqi side, we are allied with Iraqi forces, but on the Syrian side, Syrian and American forces are arrayed against each other, particularly in the area of southeastern Syria.